I’ve been riding motorcycles since 1987 and after 20 years a friend talked me into doing my first track day. A visit to Cycle Gear for my first set of leathers, boots, gloves and back protector and I was off. What an amazing experience, now after 3 years of racing I finished my 2011 Expert Race Season with: 56 First Place finishes, 24 Regional Class Championships, 2 Overall Championships and 4 National Championships. This amazing experience doesn’t come without great people in my life; my 3 children who won’t go to bed until they get a motorcycle ride, Nycool from Cycle Gear for ensuring I have the best riding gear, Brian from Livengood Motorsports for building my amazing motorcycles and being my mentor, Tim with JRi Shocks for building a suspension that holds my Dunlop Tires to the track when others are sliding around. Last but not least I’ve had the fortune to meet my track family who makes this sport so spectacular (you know who you are) to me. 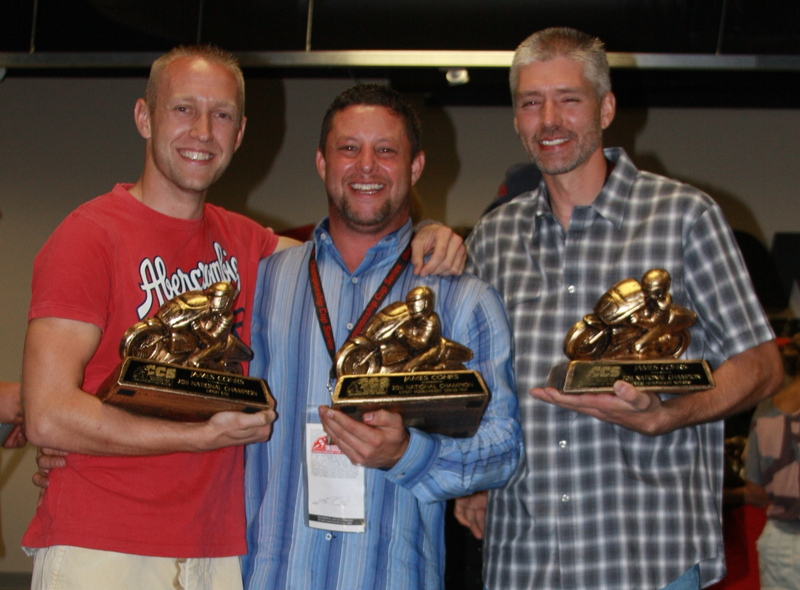 I’m 43 years old and planning 2012 race season now, if you have ever dreamed of riding your bike on a track or even race – do it! There are many levels to these sports and one that will fit your dreams, stop by the track and see me or look me up on Facebook. I’ll be posting my 2012 race schedule in the next couple months.